First, some background in this case. OSHA Cited Central Transport LLC in November 2014 for 14 violations at the freight hauler’s Billerica, MA, shipping terminal with a total of $330,800 in fines. At issue was the use of allegedly defective forklifts which weren’t removed from service as directed by OSHA standard 1910.178(p)(1). OSHA ordered abatement of these hazards. Central Transport appealed the violations to OSHRC. 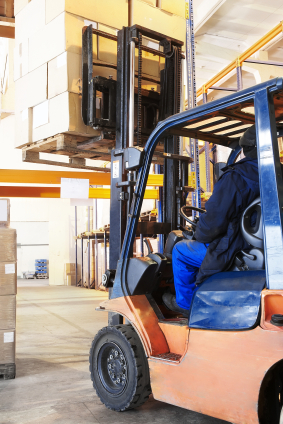 In a complaint to the Commission, OSHA requested an order compelling the company to comply with the forklift standard at all of its locations – enterprise-wide abatement. Central Transport then filed a motion asking OSHRC to dismiss the order for enterprise-wide abatement. An OSHRC administrative law judge recently denied Central Transport’s request and ordered the issue of whether OSHA and the Commission can issue this type of enterprise-wide abatement order to go to trial. Michael Felsen, the regional solicitor of labor for New England said the ALJ’s order is significant and precedent-setting. 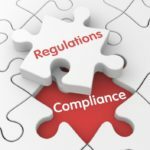 “This is the first decision by an OSHA Administrative Law Judge expressly finding that the U.S. Occupational Safety and Health Review Commission may have the authority under the OSH Act to order abatement measures beyond the specific violations identified in the citations,” Felsen said. OSHA says that at the Billerica terminal, it found five damaged and unsafe forklifts with a variety of defects including non-functioning horns and lights, a damaged tire, and a battery that leaked corrosive acid. OSHA says Central Transport failed to take the five forklifts out of service. Inspectors say since 2006, Central Transport has received 11 final order citations of the same forklift standard, including eight classified as repeat. OSHA also recently issued two willful citations to Central Transport for violations of the same forklift regulation at terminals in Rock Island, IL, and Hillside, IL. The company failed to remove six defective and unsafe forklifts at Rock Island and three forklifts in similar shape at Hillside, according to OSHA. Central Transport operates more than 170 similar terminals across the U.S.